We do not only sell jewelry at Sheldon Jewelers. Our capabilities also extend to jewelry repair and design, and we purchase estate jewelry and gold as well. Choose us for these services to benefit from our decades of experience and our emphasis on honesty and loyalty. 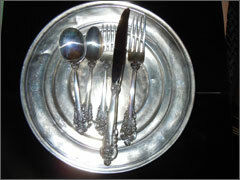 Make us your estate jewelry and gold buyers when you want to have some extra spending money. 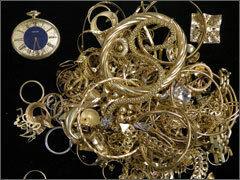 We will give you a fair return for these unwanted or damaged precious metals and diamonds. As expert gold buyers, we base all metal prices on the stock market, so you know any sum you receive from us is impartial and reasonable. 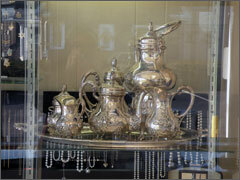 Keep in mind that we accept gold, silver, and platinum coins in addition to jewelry, watches, and other estate pieces. Perhaps you wish to commission a customized jewelry piece for someone you love. Or perhaps you want to create a unique piece for yourself. At Sheldon Jewelers near Sudbury, MA, we employ a certified and school-trained jewelry designer for any handcrafted designs. We also use a computer-aided design (CAD) program for more exact projects. If a watch or a piece of jewelry that you love breaks, bring it to our facility in the Sudbury, MA, area for repairs. We meticulously pay attention to each detail as we put your jewelry back together. All watch and jewelry repairs are done by our own staff on our premises. Whether you require gold buyers or watch repairs, Sheldon Jewelers has a solution for you. Call us at 508.620.1976 for more information about any of the above services, or visit our location just south of Sudbury, MA, to speak to us in person.